Barbel are slim and streamlined - a sure sign that they are mainly river fish. Their colours are typical of the carp family they belong to, with green or brown backs, golden-bronze flanks and pale bellies, though in clear water they can be a much darker brown-black. These fish are well adapted for bottom feeding in fast-flowing rivers. Their long, pointed heads with underslung mouths are ideal for digging around in the gravel over which they prefer to live. Although stillwater populations of barbel exist, they are far more common in rivers, especially where the flow is fast enough to prevent silt being deposited. This means they are usually found over a clean gravel bottom where they like to spawn and feed. 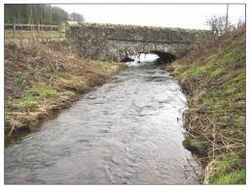 They also prefer water with a high oxygen content so you can often find them in the outfalls of weirs. Their barbels - the distinctive feelers after which they are named - are extremely sensitive to touch and taste and so are very useful in scouring the bottom in search of insect larvae and other tasty morsels. Favourite natural foods are worms and insect larvae, crustaceans such as crayfish and shrimps, and molluscs including snails and freshwater mussels. 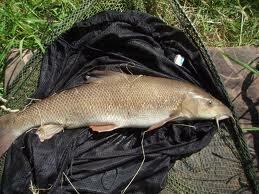 Barbel also eat small fish, especially those living on the bottom of rivers, such as loach and bullheads. It is no coincidence that the barbel's elongated, powerful shape bears resemblance to a long carp - the barbel is part of the cyprinidae, or carp family of freshwater fish. This is not the only similarity - it is also similar in habits and physical characteristics. 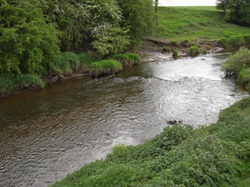 Barbel is happiest in well-oxygenated river water, and will often be found in fast runs over gravel or a clean sandy bottom, although it can also thrive slow moving rivers. 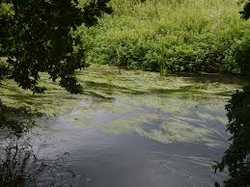 To catch a barbel during the summer you would be best fishing with large baits such as boilies, luncheon meat and drilled pellets, but in winter they respond to maggots, worms and even bread. Luncheon meat, sausage meat, cheese and cubes of cheese, worms, dendrobaena worms,red worm, brandlings, grubs, bread (either crust, flake or paste), casters, hemp and caster maggots, pinkies and sweetcorn and boilies. Gravel beds of rivers are perfect feeding grounds for barbel. Barbel love fast water, particularly downstream from wiers. Look closely behind streamer weed as it's here you'll find fish.